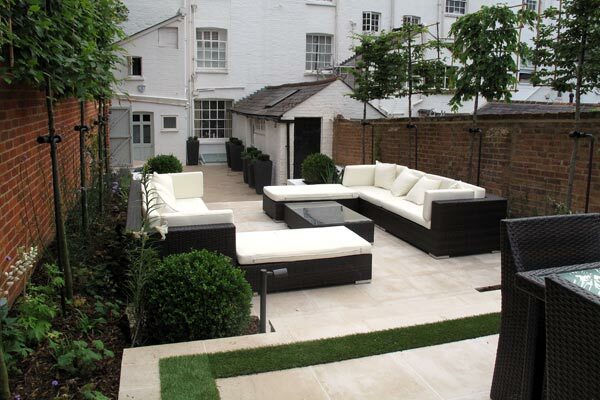 This Listed town centre Regency property had been completely renovated by my clients in an elegant, contemporary style. 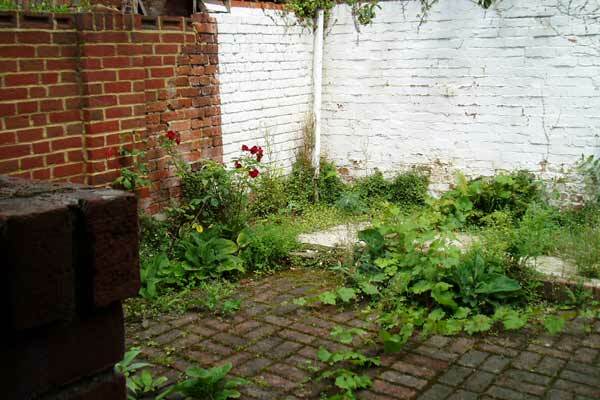 It was now time to sweep away the dilapidated and overgrown garden, front and back. 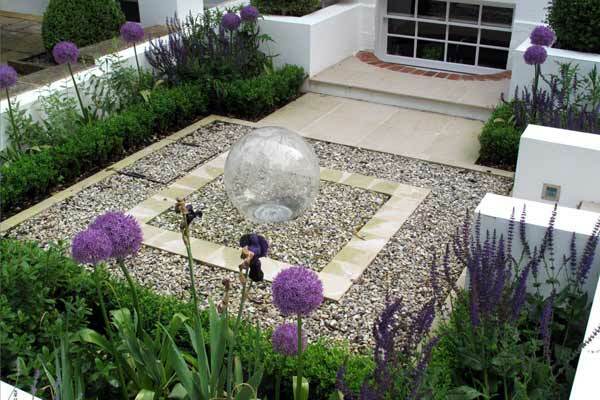 My clients, both busy professionals, wanted a cool, slick, low maintenance garden. 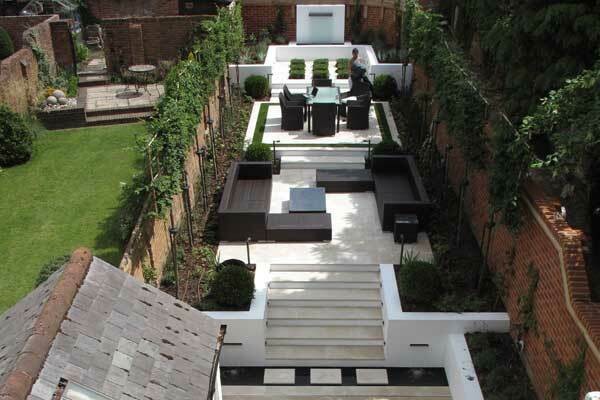 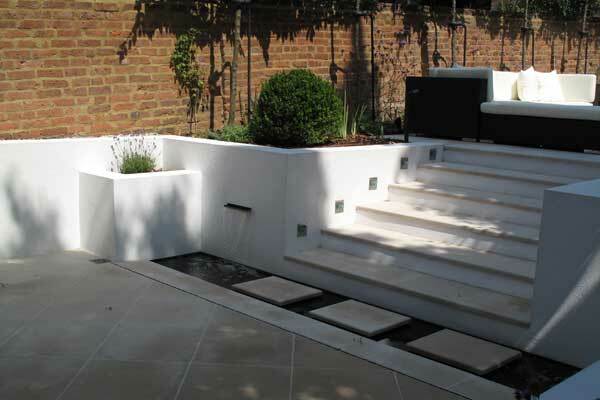 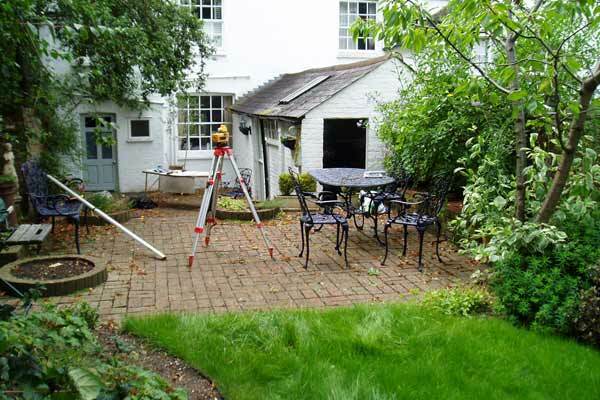 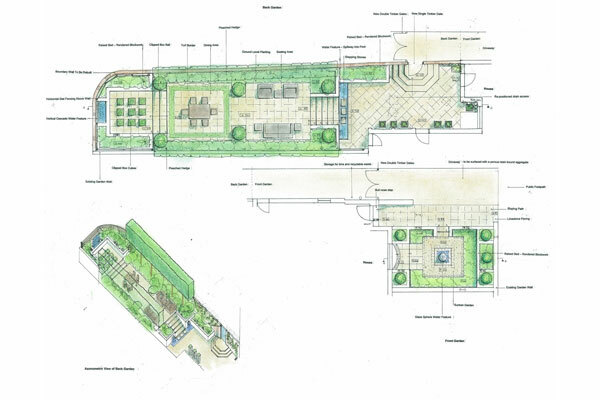 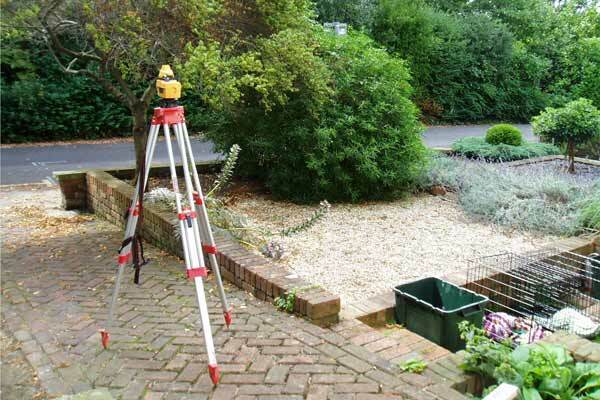 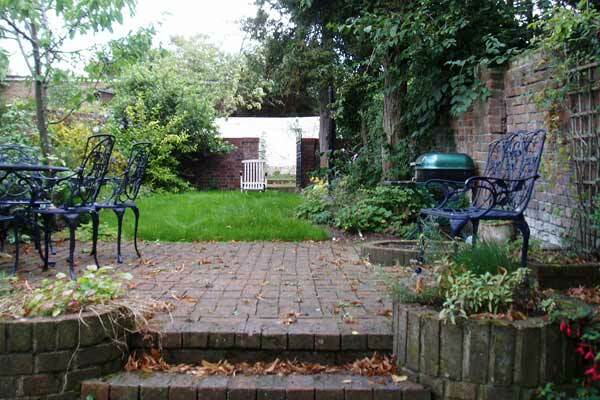 My garden design was prompted by the sloping site, dividing the garden into three outdoor "rooms" at different levels. 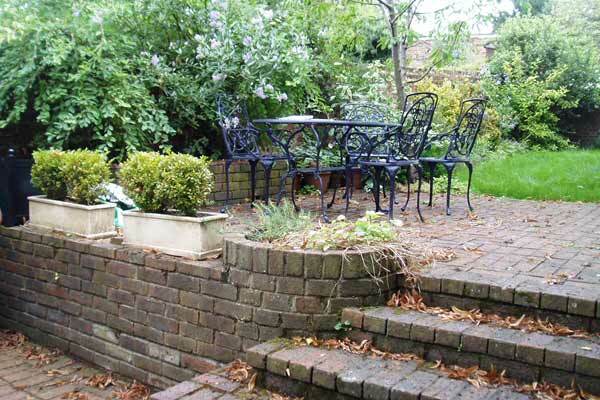 First we replaced a crumbling boundary wall and removed a number of mature trees. 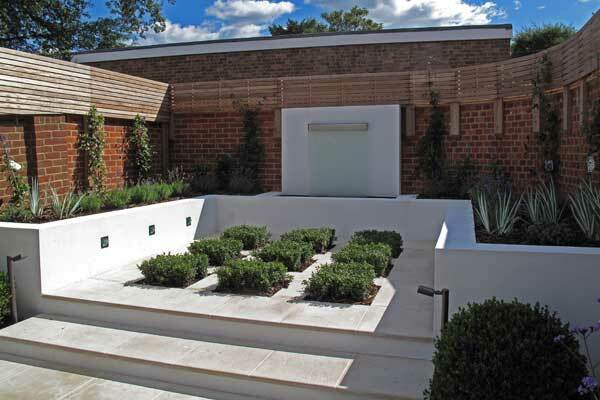 Water is a key feature of the garden with three separate fountains. 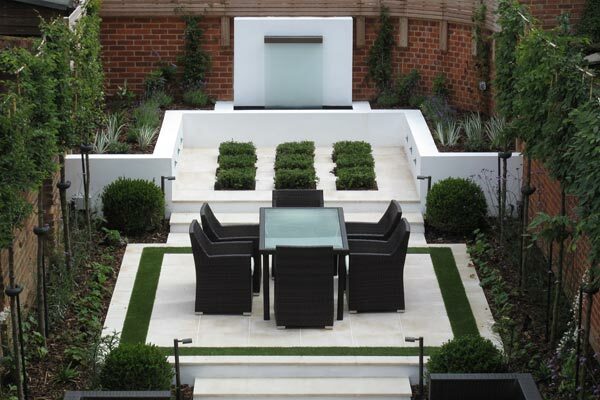 Portland stone was chosen for the paving and a band of artificial turf provides a decorative frame around the dining area. 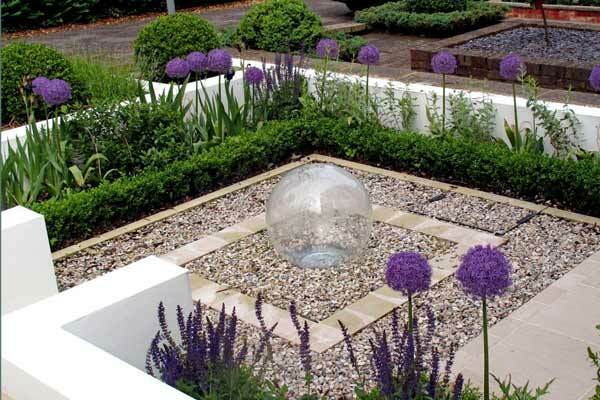 A blue/purple and white colour scheme was chosen for the planting, including Salvias, Agapanthus and Verbena Bonariensis. 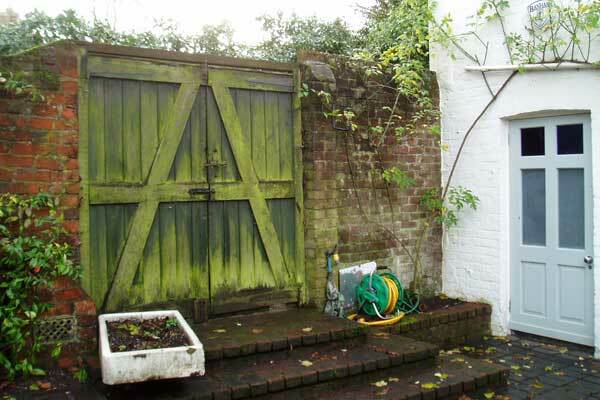 Pleached Hornbeams and horizontal slat trellising give additional boundary screening. 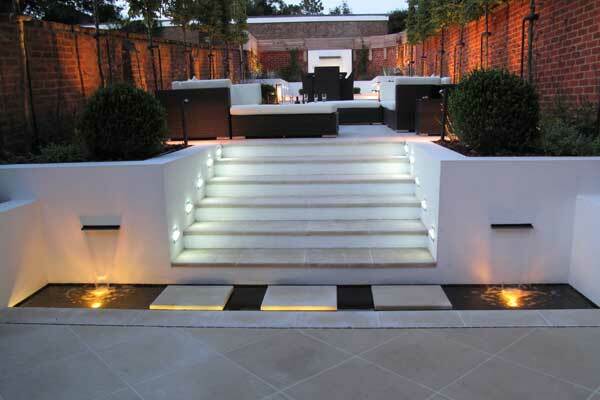 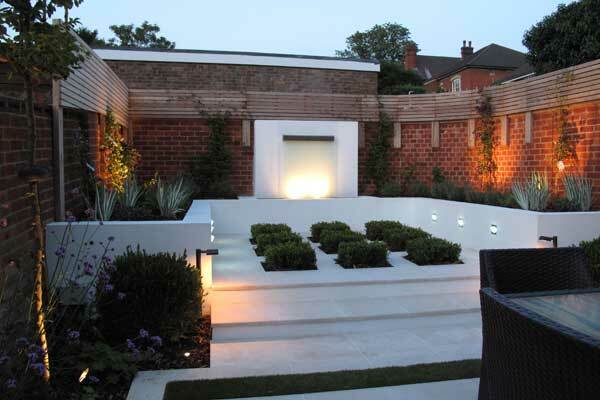 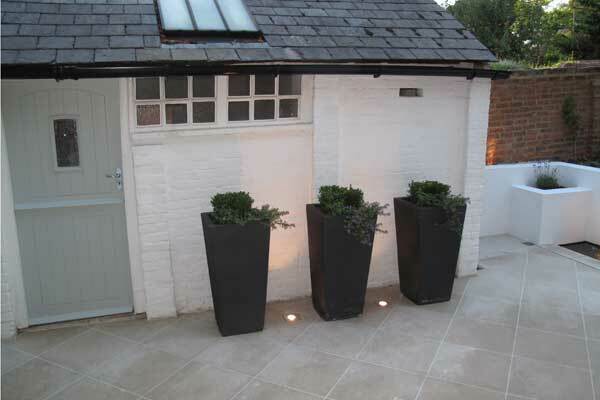 A lighting scheme brings the whole garden to life at night. 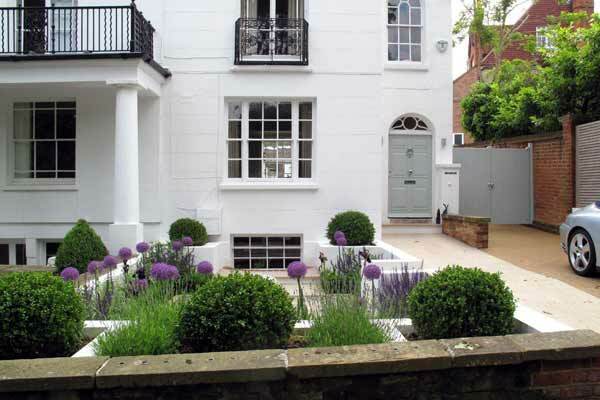 We are so grateful to you for our wonderful garden ‑ we are still stunned every time we go outside and see our fantastic new look! 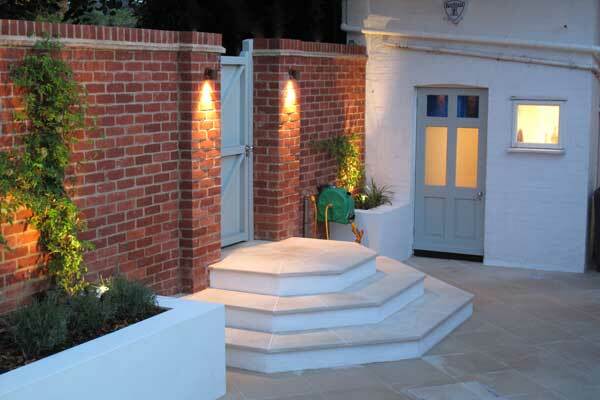 We are spending too many evenings outside sipping a glass of wine and admiring the new! 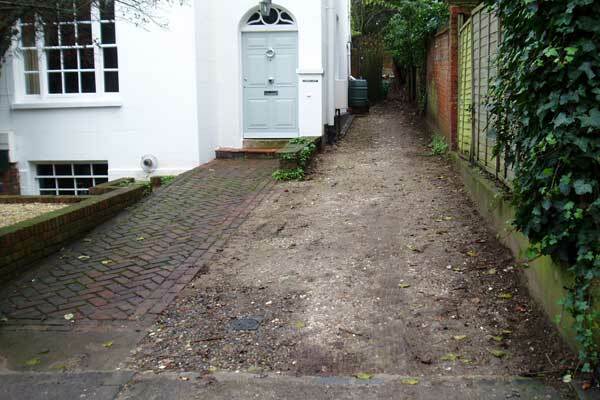 Thank you for really understanding what we were trying to achieve. 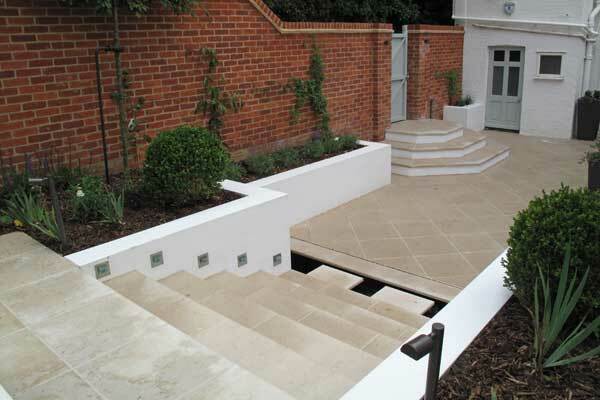 Built by Cow-Shed .... | Designed by Peper Design ..